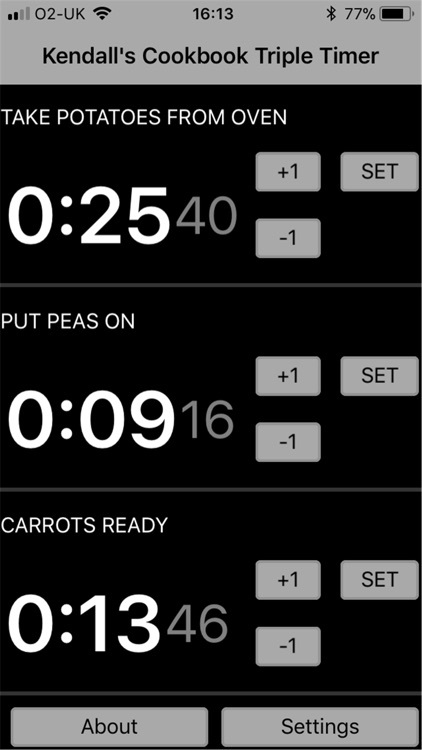 This is a 'speaking' triple kitchen timer application and will say what you tell it to say when the timer is complete. 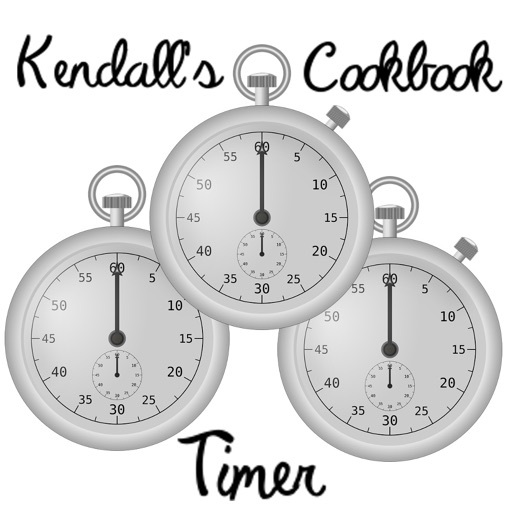 We are enthusiastic cooks so we have designed this timer especially for foodies who need to add or change a timer with sticky hands and only one finger available. 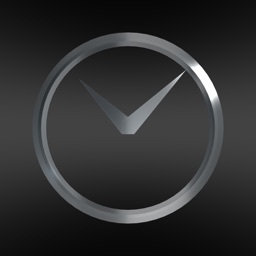 To start with, choose one of the 3 timers and press the SET button. 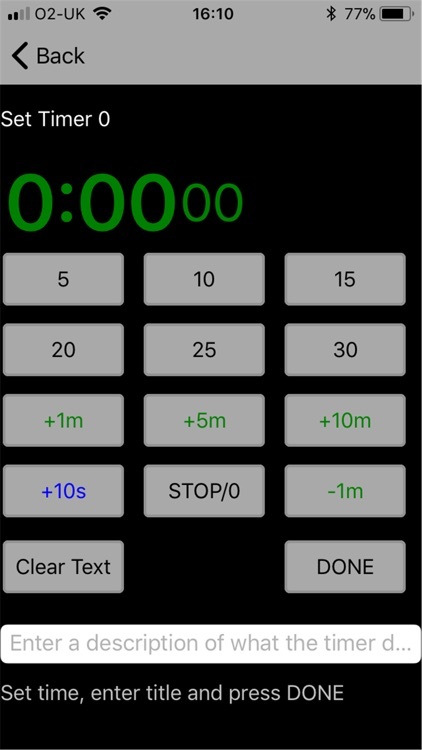 This takes you to the Set Screen and you can set the number of minutes required. 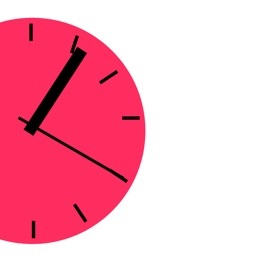 You can set 5, 10, 15, 20, 25, 30 and if you need more use the +10, +5 and +1 to set any number of minutes. +10s will add another 10 seconds. 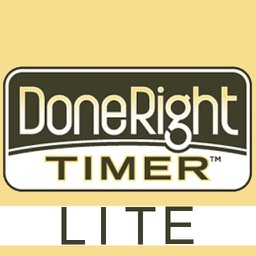 While the timer is running you can also make quick adjustments to your cooking time of +1 minute or -1 minute by pressing the buttons on the right of the timer display. 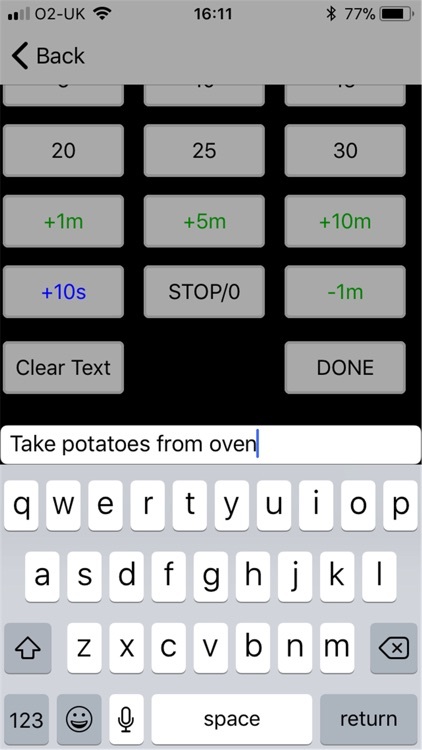 You can add a title for each timer to help you remember what it is used for, like 'TAKE OUT CHICKEN' or 'PUT CAKE IN OVEN'. 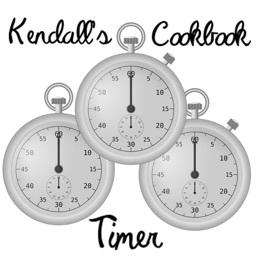 At the end of the timer period, the Kendall's Cookbook Triple Timer will actually speak these words if the app is visible. You can turn off speech in the Settings page and play a sound instead, or set no sounds at all. 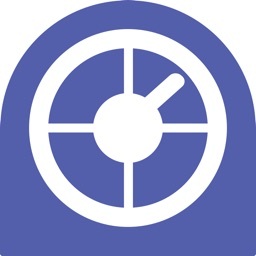 If you close the app, answer an incoming phone call or make a text, the timers will continue to count down and will pop up a notification (similar to receiving a text message) when the timer is ended. 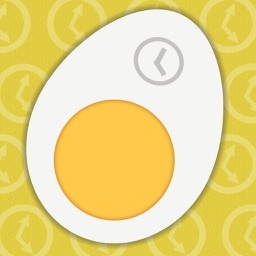 If you re-open the application then the timers will still be working and showing the updated time left.